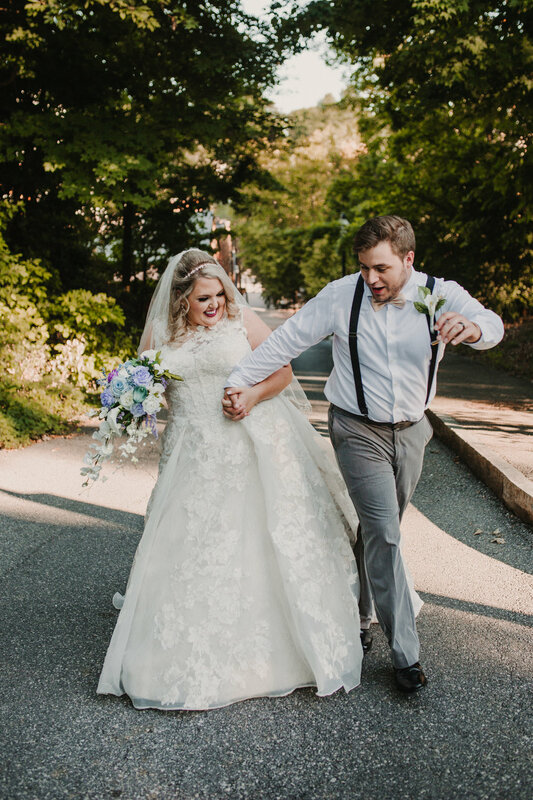 Danielle and Jerrod met in 2013 over Twitter, but it was not until three years later that they connected romantically. For their first date, Jerrod picked Danielle up from her parents’ house and he even met her mother. “It was really traditional,” said Danielle. “But I loved how intentional he was.” He took her to a swanky restaurant a town over and afterwards they went back to Jerrod’s to watch Game of Thrones. Ever the gentleman, Jerrod drove Danielle home and they had their first kiss on Danielle’s front porch. You can peep more shots of their wedding on Instagram at #MeetTheThorntons and you can find Danielle on Instagram @daniellethornton94. A year later, Jerrod arranged a photo shoot for the couple at historic Abingdon, Va. that would end with a big surprise. They took pictures around the town and when they got to the town center, the photographer told them to kiss, which was the secret cue. Jerrod pulled the ring out of his pocket and proposed to his love right there. “I was so thankful that he made sure someone was there to capture it,” said Danielle. 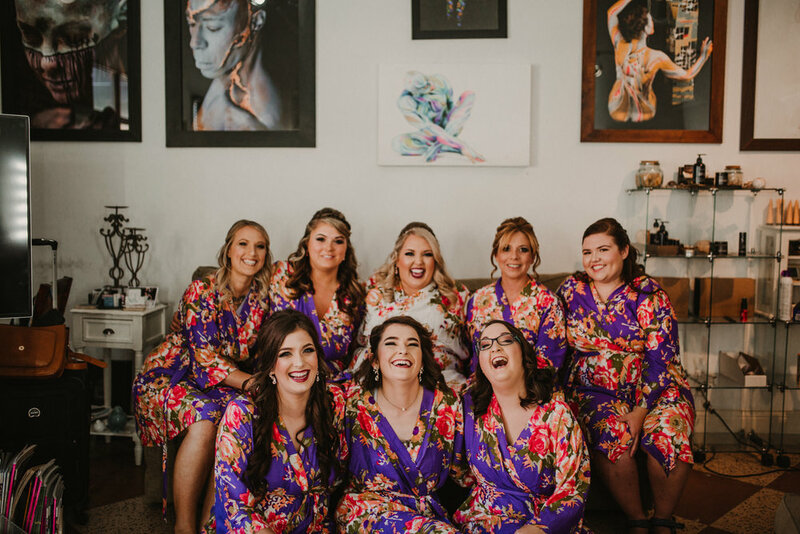 On July 8th, 2018 the couple joined their lives together at Team-Bridal Wedding and Event Loft in Jonesborough, Tenn. 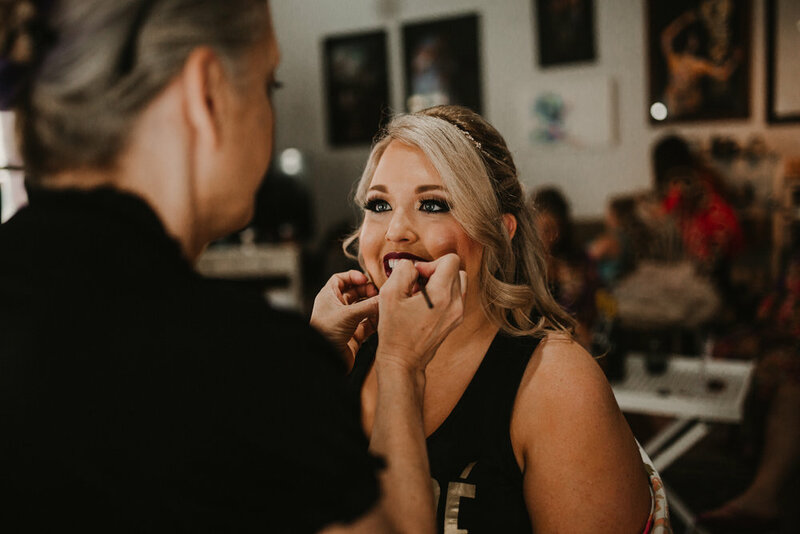 This venue spoke to Danielle because she wanted something all-inclusive and intimate to make the process simpler. 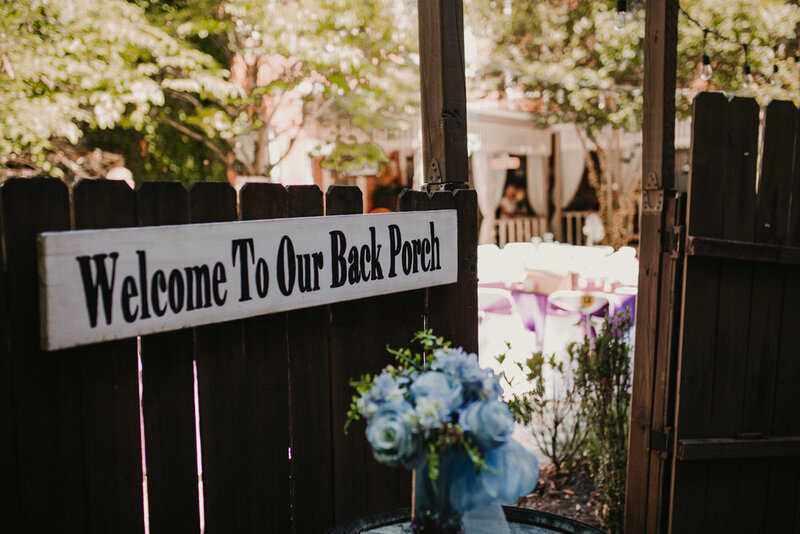 The venue, which was built in the 1800s, has a beautiful Victorian charm and the classic, romantic feel that Danielle was hoping to find. This couple loves Disney so they subtly incorporated their favorite films in their centerpieces. 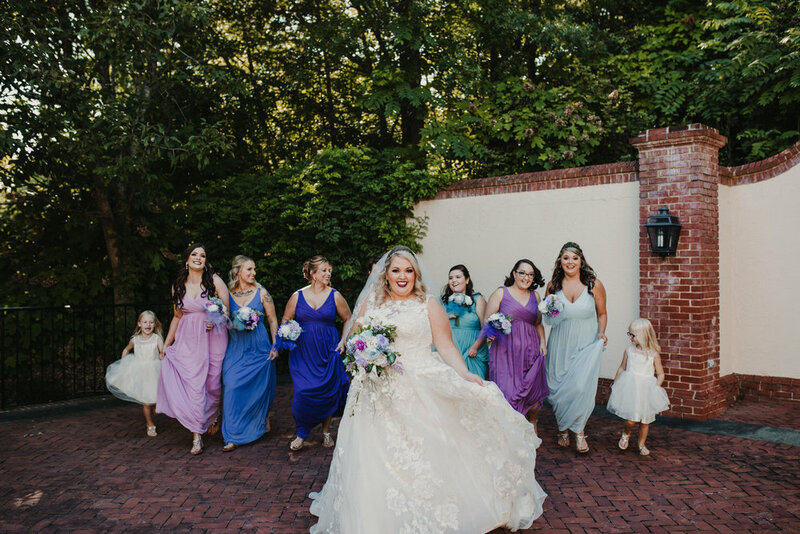 To keep things under their $12,000 budget and so she could keep mementos from the day, Danielle opted for silk flowers in their wedding colors, which were jewel tones in shades of purple and blue. Sustainability is important to the couple and they try to find every possible way to recycle, which is another reason why silk flowers appealed to them. For dessert, they served a four layer almond cake with buttercream frosting and flowers to match the rest of the decor. The biggest challenge for this couple during the planning process was moving a month before the wedding. Getting married and moving are both on the list of most stressful life events and it is definitely not recommended to try to do everything all at once, but this strong couple made it through with flying colors. 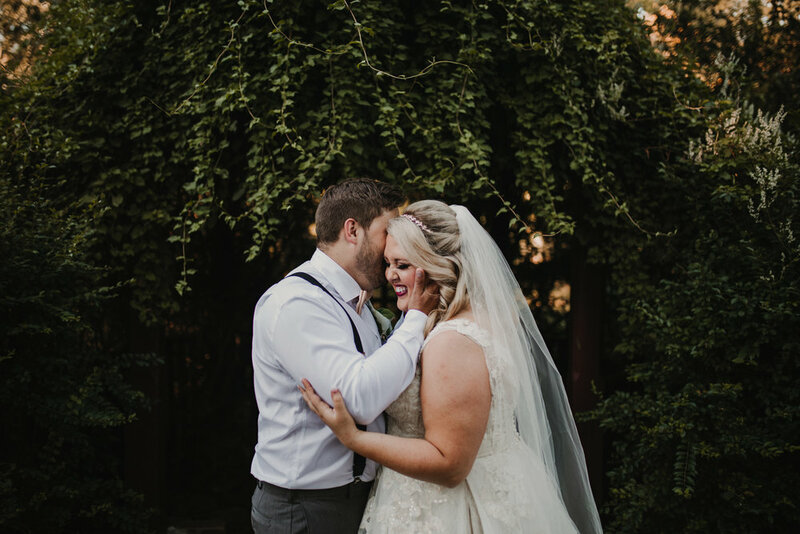 Danielle and Jerrod spent a lot of time planning their intimate ceremony. 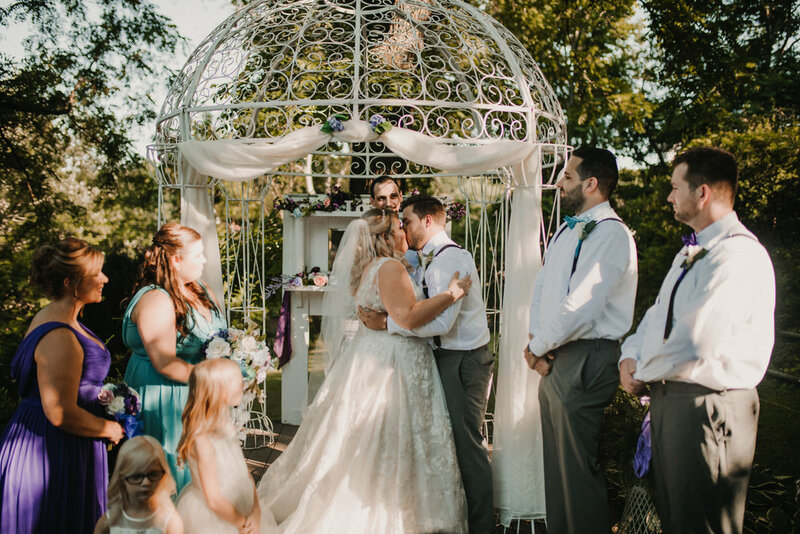 They wrote their own vows and built a Unity Cross to signify the joining of their lives as soft, instrumental music played for their 100 guests. Danielle’s favorite part of the day was Jerrod’s reaction as she walked down the aisle. Danielle’s biggest advice to other members of the Big Bride Club is to remember that it is your wedding.